Le Blog De Zane was created in 2013 by Zane Vogue, a young man of 21, he devotes his time to doing fashion articles, then quickly become a renowned fashion blogger (see here). Then at the end of 2014, Zane traveled around the world for the main fashion week, when he began to receive invitations to luxury hotels to show the hotels to these subscribers..
Zane then begins to take an interest in the world of luxury hotels, then completely spellbound by hotels around the world, he leaves out fashion and spends his time to only test luxury hotels. 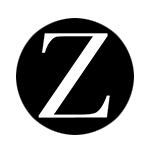 With two years of experience in the world of luxury hotels The Blog De Zane is now a blog recognized throughout France, the blog also begins to be exported outside France to test hotels around the world, the blog is managed by a team of 4 people, 2 editors and a news agency. In social media figures, Le Blog De Zane represents an audience of 200,000 subscribers. If you want to make a partnership: contact the team by clicking here .